All Kymoto Solutions applications use a standard interface which allows our applications to be fully translated*. Before you can begin creating a new translation you will need to download the required tool and core language file for the application you would like to created the translation for. * Some items can not be translated internally, these items are controlled by the underlying O/S and will only show in the selected language. Launch the Translation Editor, you will be prompted to provide some basic information before you can get started with either creating a new translation or continuing with a previous one. To create a new translation select Create a new translation. 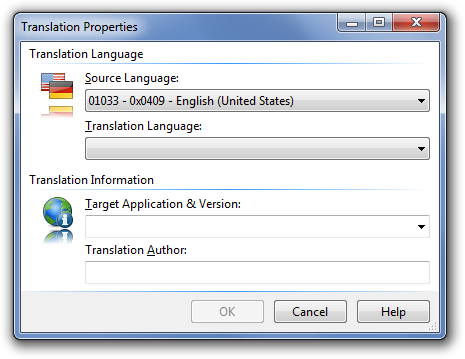 However if you want to continue translating an existing language pack select Open an existing translation and select the correct file from the drop down list. 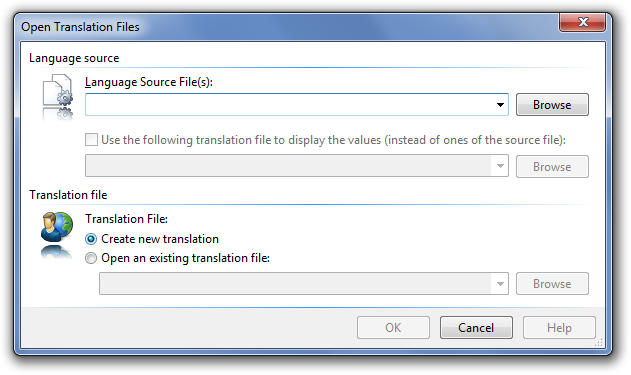 If the exisiting translation file is not shown in the list, click on Browse	and select the translation pack (*.lng) file. 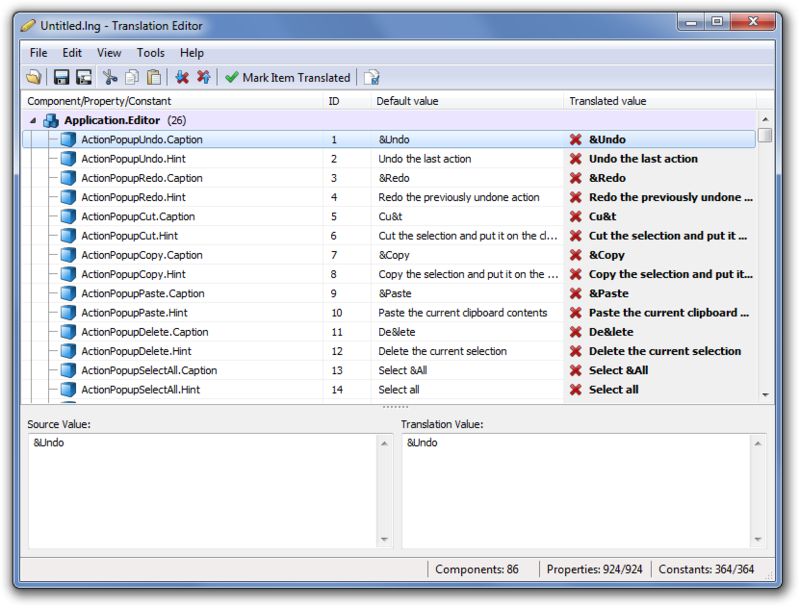 If you are creating a new translation pack you will be asked to select some additonal language properties, target application version & translation author information. You will now be presented with the main translation editor window where you can provide translations for all the available entries in the applications core language. Send us your language package by email & after verification, it will be published in under the applications Download Directory and will be available for all users.